Do you feel financially secure? 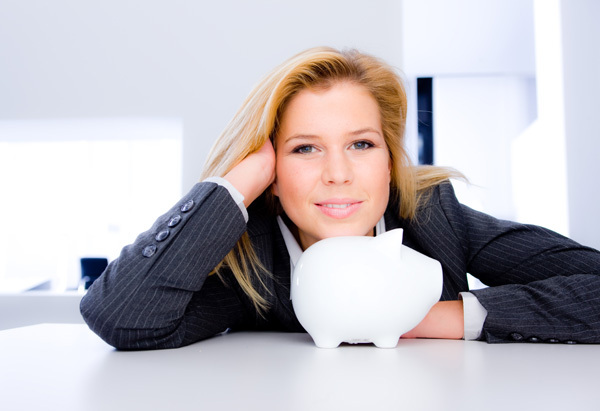 Do you have a stable inventory of ways to ensure financial security? Do thoughts of an empty bank account or looming debts keep you up at night? According to the Pew Charitable Trusts, you’re not alone: up to half of Americans feel the same way and over half claim to have no real preparations for financial emergencies. Though we’re nearing the tail-end of the ‘08 financial crisis, many families are still experiencing an uneven ratio of expenses to income, making it difficult to make ends meet or save for future crises. Is it our fault? Is it the economy? Is there anything we can do to get out of the red and live a life free of financial stress? The answer is yes. You don’t have to live in constant fear of debt, living pay check-to-pay check, or facing a negative-balance in the face of a crisis. Here are three solid ways to ensure financial security. You’re reading this, and that’s a good sign. Asking for help or seeking resources to try to manage debt is a great step to becoming more knowledgeable and proactive with your finances. One of the best ways to ensure financial security is to seek help from your bank, self-help budgeting books, or even the Internet. There are so many resources to take advantage of, and many of them are either inexpensive or completely free. A library card, Internet access, or a financially savvy friend can help you with concrete advice about your unique situation. Seeing friends or acquaintances on Facebook spending lavishly or enjoying seemingly stress-free lives can create the impression that you’re alone in your financial struggle. The statistics, however, prove otherwise. More than half of Americans share the same concerns. (And, who knows, those Facebook friends who just bought a brand new sports car? Maybe they haven’t really established budgeting priorities, either!) Close your Facebook tab and instead try to focus on your ideal, financially secure future, and how you’re going to get there. Whether you have questions about savings, debt consolidation, or how to stop living from pay check-to-pay check, there are resources and ways to ensure financial security — all you have to do is seek them out. We’ve all heard this before. We’ve heard it from our families’, our accountants, our co-workers, our friends, and our local bank teller. We’ve heard it from the news, blog posts, and articles on financial security. If it hasn’t been ingrained in you yet, perhaps this will help. Budgeting is a process. It’s not easy and it doesn’t happen overnight. It takes a long time to pull yourself out of bad spending habits. Desktop and mobile apps like Good Budget can help you keep track of where your money is going and where it should be going. Certain apps and websites will also give you advice on ways to ensure financial security, and how to apply the advice to their own templates. Try a few different apps and see which one helps you organize your household the most. A monthly or weekly budget can help you see your funds in a tangible way, making you notice the spontaneous, small-item purchases add up. If your income isn’t sufficiently covering your day-to-day expenses, you may have one of two problems: a) you’re living on minimum wage or your income simply isn’t enough to support your lifestyle; or b) your day-to-day expenses are too lavish for your current income. If you’ve tried all of the conventional ways to ensure financial security, it may just be time to think outside of the box. There are endless ways to make a few extra dollars, and you might even savour the time spent doing them. If your income is satisfactory (or you just don’t have time to add a paid hobby to your schedule), you may just have to think about amending your lifestyle. Sacrificing luxuries can be difficult, but when push comes to shove, it might be one of the most important ways to ensure financial security. Think about downgrading your house (is your house too large or too lavish for your income?) or your car (maybe downgrading to a car that’s better on gas might be worthwhile?). Perhaps you can sell select electronics that may have been purchased because of the desire to keep up with the joneses, and buy less expensive (albeit less impressive) systems, instead.